Getting into the grind isn't always a good thing – unless you're talking about coffee. Coffee lovers want the best, which means finding the best grinder for that perfect cup. 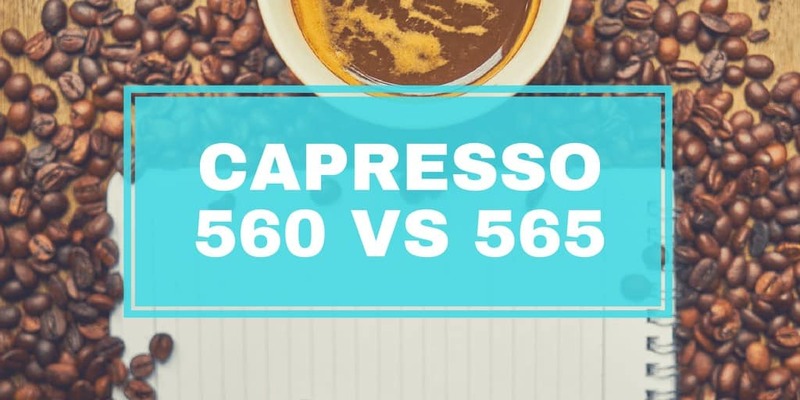 In a battle of the best Capresso, it's down to the Capresso 560 vs 565. So how do you choose? What's the difference between Capresso Infinity 560 and 565? If you're losing sleep over whether to get the Capresso 560 or the 565, rest assured that you can't go wrong with either. Capresso, the brand that makes both coffee grinders, has a reputation for consistently producing high-quality products. Their coffee grinders are known for being quiet, durable, and reliable. What's even better is that they grind coffee at a lower speed than most grinders on the market, which produces coffee that's of consistent quality and not burned (1). As is evidenced from the specs, there are very few differences between the two coffee grinders. They're both the same size and weight, and they have virtually identical mechanical specs. 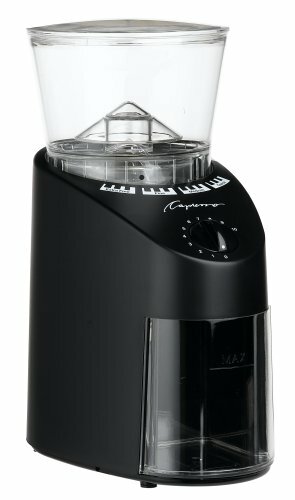 If you're looking for a coffee grinder that fits easily beneath your cabinet when it's not in use, either of the two grinders will work. 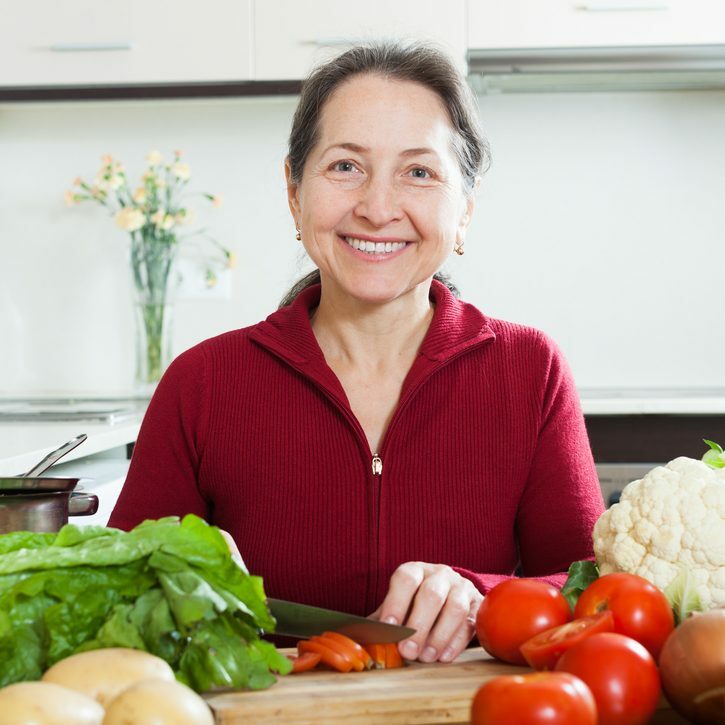 Furthermore, they both have aesthetically pleasing exteriors that make them attractive additions to any counter top. Neither is a clunky eyesore that you'll be rushing to hide from guests. But if you're particular about appearances, note that the 565 is made of stainless steel, and the 560 is made of brushed silver. The 565 is the slighter higher end version of the two, and its stainless steel composition tends to be sturdier and longer-lasting than the brushed silver. Related Post: What's the Best Manual Coffee Grinder for French Press? As with any coffee grinder, either machine will inevitably have its strengths and weaknesses. Because they are so alike, including having identical dimensions, there is little difference in convenience between the two coffee grinders. Either machine can be stored under a cabinet to save space, and they're both attractive enough to leave out on the counter if you choose. With 16 grind settings categorized into four different groups, both coffee grinders are intuitive and user-friendly. Unlike complex coffee grinders, including many commercial grinders, you won't be scratching your head trying to figure out how to make them work. The differences between the two Capresso grinders come down to looks and composition. While the 565 is made with stainless steel, the 560 is made with slightly less durable brushed silver. The 560 has ABS housing, while the housing of the 565 is made from a heavy-duty zinc. Therefore, the 565 will probably last a bit longer than the 560, and its parts are easier to clean. Both coffee grinders come with a one-year warranty. Since both coffee grinders are the same length, width, and height, they'll fit on the same counter areas. They are both easy to clean, and they are the same weight. Related Post: Baratza Encore vs Virtuoso – Which Grind Result Is Better? Overall, both Capresso grinders are a good deal, and they produce the same quality grinds. 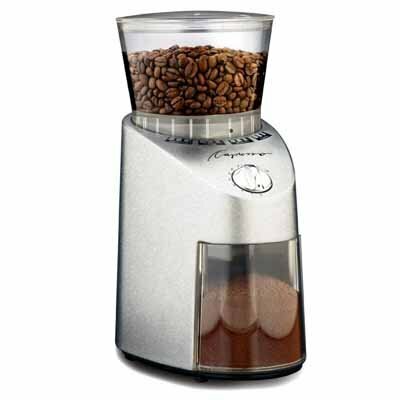 The Capresso 565 has many high-quality, commercial grade amenities that are rarely found on domestic grinders. The Capresso 560 also has many of these same features, but it has a slightly lower quality finish. So in the battle of the Capresso 560 vs 565, the answer to “which one should I get?” comes down to personal choice. You'll spend a bit more for the 565 and get a slightly higher quality, while the 560 costs less. In turn, you'll get a less attractive machine and more basic but equally functional features.